Seven Must-See Outdoor Murals in Raleigh, N.C. 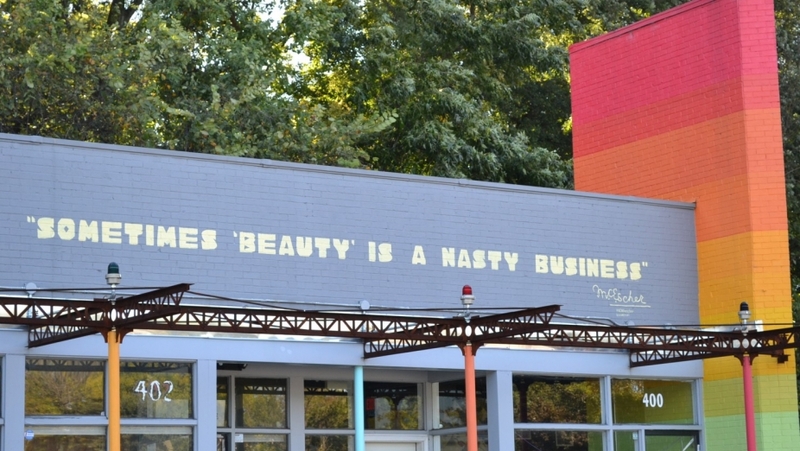 Thanks to groups such as Raleigh Murals Project and the destination&apos;s smart, savvy locals deeply welcoming artistic expression, the exteriors of many buildings in Raleigh, N.C., get facelifts in the form of both temporary and permanent murals. 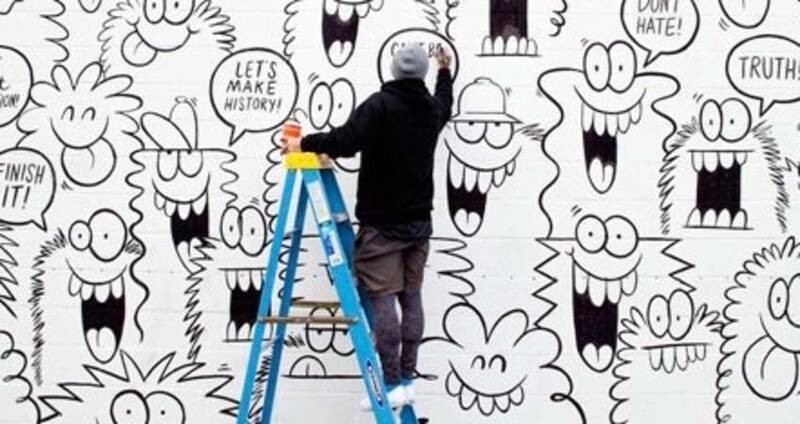 Illustrator, muralist, painter and Raleigh native David Eichenberger shares recommendations on gems you can&apos;t miss, each a vibrant example of Raleigh&apos;s thriving, ever-growing arts scene. Starting off with a piece by David, this mural is located on the corner of Hargett St. near City Cemetery. 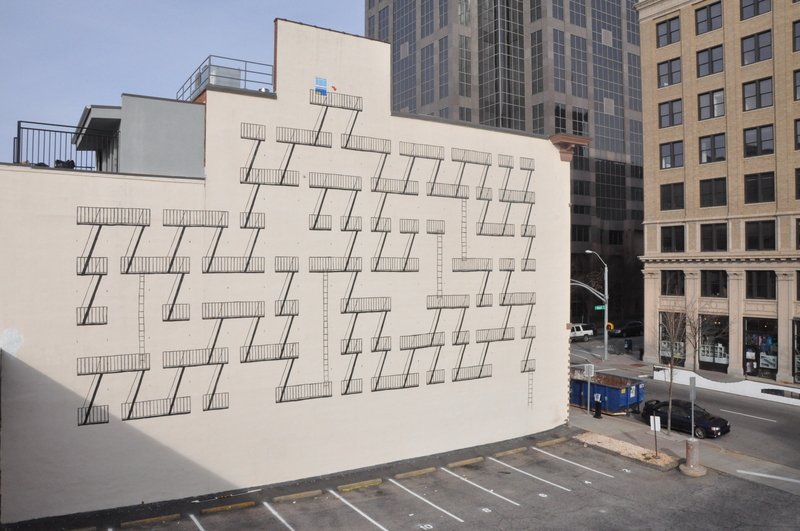 Created in collaboration with Flight Raleigh, this mural is an exploration of what Raleigh would look like as a version of the popular board game Chutes and Ladders. 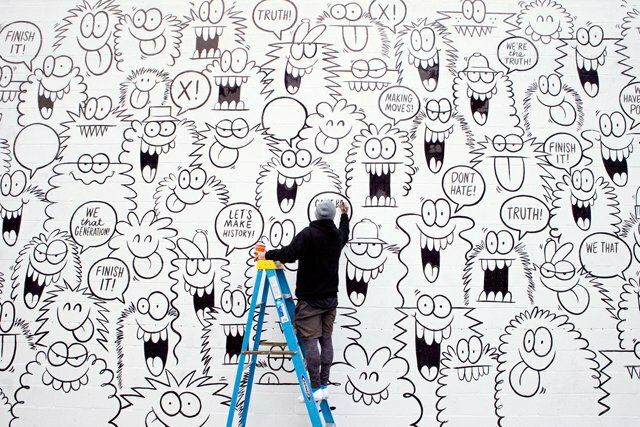 David suggests checking out Luke Buchanan&apos;s mural on the side of chef Ashley Christensen&apos;s restaurant Death & Taxes, if for no other reason than its massive scale. When Luke&apos;s not painting, you can find him mixing up craft cocktails at the nearby Poole&apos;s Diner, another local-favorite Ashley Christensen restaurant. Read more about Luke here. 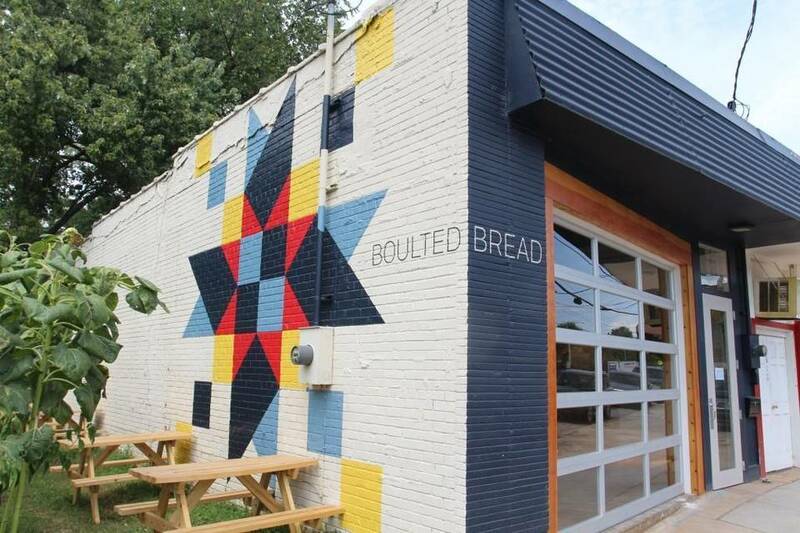 Created by Matt Wickwire, this quilt square mural located on the side of Boulted Bread provides a geometrically-pleasing backdrop for enjoying a coffee or fresh pastry. Located around the corner from Trophy Brewing Company, this crazy cast of characters is the brainchild of Kevin Lyon in collaboration with the Truth anti-tobacco campaign. 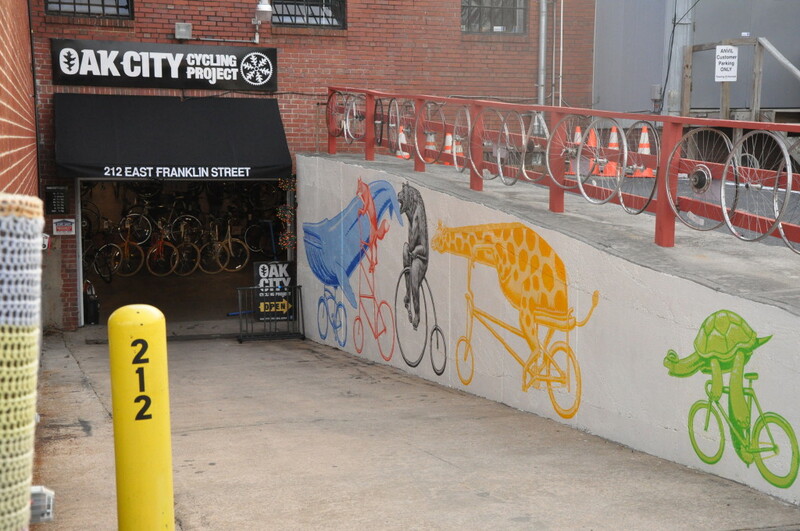 Oak City Cycling Project gave David Eichenberg complete control over this mural, which was actually David&apos;s first project as a professional artist. 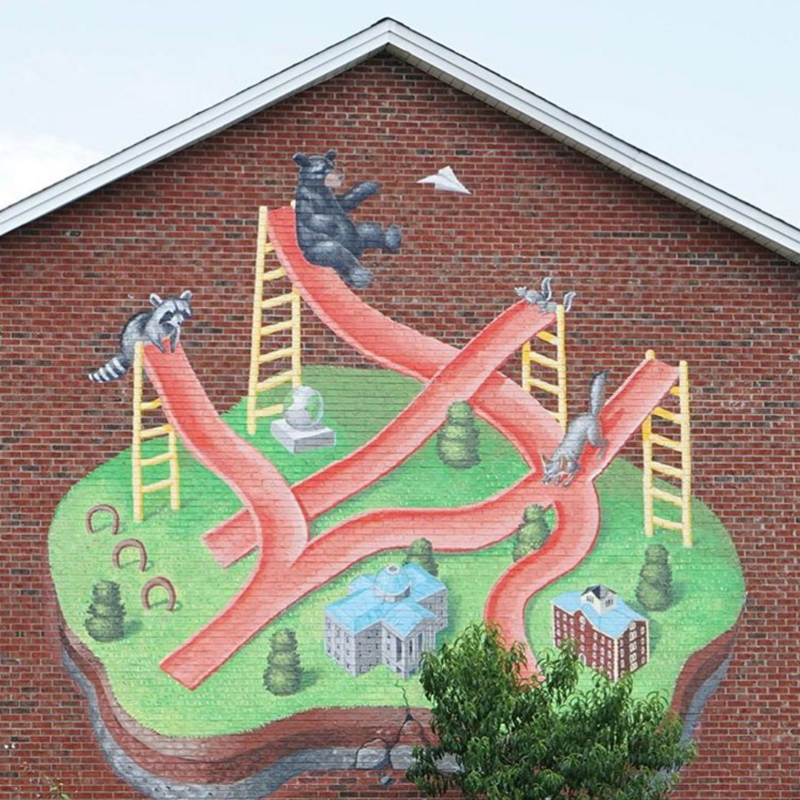 This mural is a collaboration between Raleigh Murals Project, North Carolina Museum of Art and David Eichenberger. To celebrate The Worlds of M. C. Escher: Nature, Science, and Imagination exhibition, open in the Fall last year through Jan. 2016, David developed a one-of-a-kind typeface from some of Escher&apos;s block-print alphabets, which he used to paint multiple murals throughout town. The quote above can still be seen from Capital Blvd. as you&apos;re heading into downtown Raleigh. 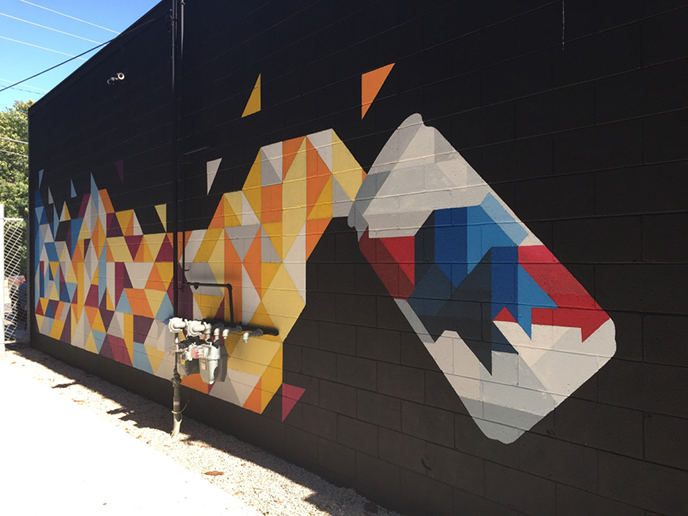 Head to Person Street Bar for a look at Scott Nurkin&apos;s mural. Scott was able to break down an image of a can spilling its contents as a series of colored triangles, creating a geometric feast for the eyes. See these seven stellar pieces of art for yourself on your next visit to get the full effect, and don&apos;t forget to tag your photos with #visitRaleigh on Instagram, Facebook and Twitter! All images via Raleigh Murals Project/AP. Meagan is a North Carolina State University graduate, recent Northern transplant and has the self-proclaimed "best buffalo wing recipe in the world." During football season, she can be found at Sammy's Tap & Grill every Sun. ; she'll be the only one wearing a Giants jersey. Outside of football season, she's visiting the many breweries in Raleigh, checking off her beer bucket list.